Ben Horowitz, founder of Andreessen Horowitz, has been in these high-pressure situations many times before, so he’s come up with processes and strategies to best manage a team in the times when it may be the toughest. 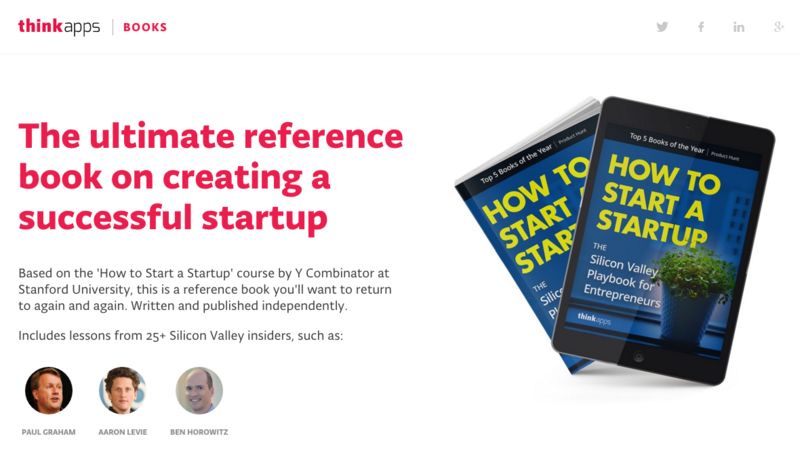 In his lecture on “How to Manage” as part of Y Combinator president Sam Altman’s How to Start a Startup series at Stanford University, Horowitz went straight for the tough stuff with advice on how to help you manage in the most fair and respectful way. Before getting into the economics of hiring, firing, and promoting, Horowitz shared some information regarding equity in startups that may need a bit of clarification because it can get confusing if you’re not familiar with the concepts. Altman admits that this plan has some tricky aspects, but all in all is a better solution than what’s currently offered. In fact, with things being so progressive in the startup climate, why is something as important as equity still so difficult to navigate? Horowitz said it actually used to be worse. In fact, that’s the very mentality you have to keep in mind while making all big management decisions for your company. When managing a startup, there are going to be problems that pop up that maybe you didn’t cover in business school and you didn’t learn from pitching to investors, building a product or gaining PR. One of them is having an upper level employee who works hard, but just isn’t great at his job. How do you decide whether to demote or fire him? An executive has worked really hard for your company, and the team likes him. All in all he is a great asset to the company culture. But he’s not exemplary when it comes to the job you need him to be doing. It’s a really hard decision to make and to make things even more complex, Horowitz says that you have to consider the perspective of everyone involved: the CEO, the executive and the rest of the team. CEO’s Perspective: Demotion is ideal because you can keep the employee and harness his skills in a position that’s better suited for him. Not to mention, you don’t create a hole in the culture by letting him go. Executive’s Perspective: He doesn’t want a demotion, but it gives another option to termination. Also, it’s much easier to explain (and/or sugarcoat) a demotion to a future employer rather than explaining being fired. Company Culture: If you do demote a person, how are the other people on the team going to treat him? What shifts is this going to cause in the company’s dynamics? At the end of the day, the decision you’re making doesn’t just affect one person, and the results last longer than one day or one week. Horowitz said, “What you are really doing is saying, what does it mean to fail on the job? Particularly the highest paid, the highest compensated job in the company … Is it good enough to put in an effort or do you have to get a result?” After you’ve carefully considered the repercussions of either choice from all angles (including equity), you’ll be able to balance the options. If you’ve ever asked for a raise, you know that it can be really intimidating and it seems like each time you do it, it’s unfamiliar territory. But as the person in charge, again you have to consider many factors beyond the person who’s asking for a raise and ultimately make it a consistent process that your employees can feel confident about. An excellent employee asks you for a raise. CEO’s Perspective: You want to keep this person around because she’s done great work. You want to give her what she’s asking for to make her happy and, of course, to gain some cool points. This may lead people to believe that you as a CEO aren’t really evaluating performance, but instead are just rewarding a one-time initiative. Other employees may not be “that person” who asks for a raise, but instead are people who expect to work for companies who notice and reward their efforts as is. This will undoubtedly lead to some team turbulence. “You have to be formal to save your own culture,” and this doesn’t just apply to more established startups. Even if you have beanbag chairs, happy hour and Pac Man in the lobby, regulating the raise process and making it clear to your entire team will make you and them more accountable for their performance. Horowitz says that, with his proposed process, after someone has come to you with a proposal for a raise, you should then evaluate their work for one quarter or six months. At the end of your evaluation, you tell them what their raise is — simple as that. After that, there is no further discussion as you’ve heard their input as well as the input of their team during the evaluation. This is the best way to make the process fair and consistent. “It means you’re understanding what everyone thinks and how this is going to impact them and the culture of your company,” said Horowitz. Horowitz really looks up to Toussaint L’Ouverture for inspiration on how to best make decisions that have an efficient, positive impact on your entire team. L’Ouverture was a slave during one of the most brutal reigns of slavery in Haiti (then the colony of Santo Domingo). He had a vision to end slavery, take control of Haiti, and make it a first-class country. In accomplishing the only successful slave rebellion in history, every decision he made benefited the entirety of his mission, even at times when most people would have opted for revenge against a heinous rule. For example, after he defeated the locals, he had to decide what to do with the conquered soldiers. Rather than imprison or kill them, he considered the leaders of his opposition and the resulting culture he was working toward. Knowing that the Haitian economy depended almost solely on sugar cane, which was previously a slave economy, L’Ouverture had to then decide how to manage the acres and acres of sugar cane he’d acquired as a result of his successes. You can watch the video and read a full transcript of Horowitz’s lecture here. Featured image was taken from the video of Ben Horowitz’s lecture at Stanford.